Sign up for email alerts to receive Sonoma updates including press releases, filings and special announcements straight to your inbox. 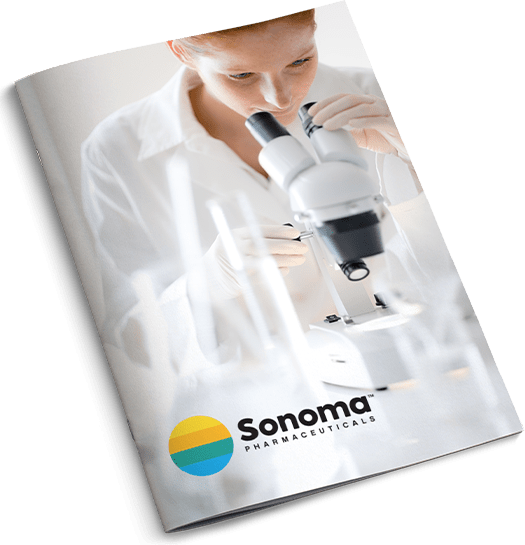 Sonoma Pharmaceuticals is a specialty pharmaceutical company that develops and markets solutions for the treatment of dermatological conditions and advanced tissue care. The company's products, which are sold throughout the world, have improved outcomes for more than ten million patients globally by reducing infection, itch, pain, scarring and harmful inflammatory responses. Sonoma’s headquarters are in Petaluma, California, with manufacturing operations in both the United States and Latin America. European marketing and sales are headquartered in Roermond, Netherlands. Copyright 2019 Sonoma Pharmaceuticals, Inc.